An Ariane 5 rocket on the launch pad at the Guiana Space Centre (Centre Spatiale Guyanais, CSG) near Kourou, French Guiana, just before lift-off. 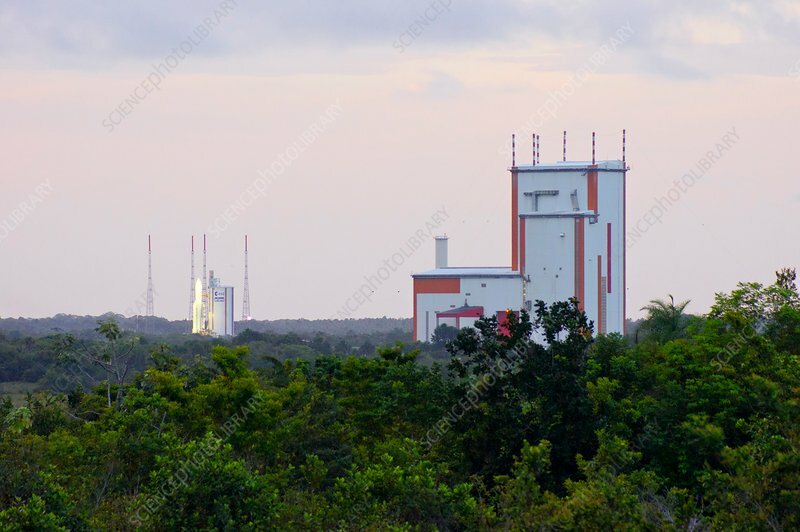 The Ariane 5 launcher integration building is visible amidst the jungle foliage in the foreground. Photographed at dusk.